locked in verbal war on the financing of the 2019 presidential race of Abubakar Atiku. While the Deputy National Publicity Secretary of the APC, Yekini Nabena, said the PDP and its presidential candidate were at an intersection on the most proficient method to source funds for the 2019 electioneering campaign ahead of the foreseeing election, PDP cautioned the APC to stop the "obsession" on Atiku. Nabena, who had earlier asked security agencies to investigate the circumstances surrounding the Dubai meeting of Atiku and the PDP, had also accused them of trying to use the said meeting to launder funds for the elections. 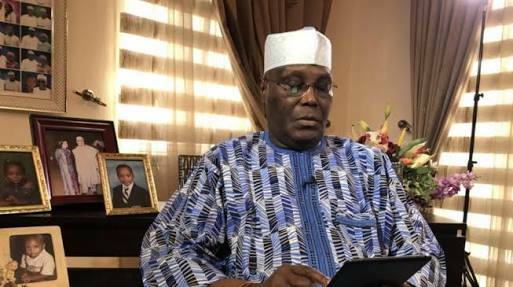 However, in apparent reaction to the purported search of Atiku’s aircraft by security operatives on his arrival from Dubai, Nabena noted that due to the stringent measures put in place by President Muhammadu Buhari’s administration, the opposition party was now in a dilemma on how to source funds to run the Atiku Presidential Campaign. Nabena in the statement alleged that available information from the PDP’s recent strategy meeting in Dubai, United Arab Emirates, indicated that there was a major setback as the hope of sourcing campaign funds from public coffers was dashed. He said: “The Presidential candidate expects the party to provide funds for his campaign. This is the Buhari Era, an era of strict accountability and transparency in the use and application of public funds and not the Jonathan Era in 2015 when the national treasury was opened to PDP leaders to prosecute the Presidential campaign. “The party leaders are, therefore, in serious difficulty and dilemma on how to source funds to run the Atiku Presidential Campaign. Some financiers of the party expect that the candidate, having bought the ticket with millions of dollars should have the financial capacity to run his campaign. ‘’With the candidate’s expectation that it is the party that will fund his campaign, it is now clear that they are at a crossroads and the chickens have come home to roost. “The anti-corruption agencies should gird their loins and ensure that all sources of campaign funds by political parties are closely monitored and recover the funds looted during the Jonathan era. Such recovered funds should be applied for the benefit of the poor masses who were denied democracy dividends during the 16 years misrule of the PDP. “It is now clear to the members of the PDP who were deceived into believing that their presidential candidate is a man of stupendous wealth that it is all a mirage, a 419 packaging and that they entered a ‘one chance’ bus. “As we approach February 2019 when General Elections will be held in Nigeria, the electorate are becoming more conscious and aware of the deceitful nature of their so-called leaders. Alhaji Atiku Abubakar, the Presidential Candidate of the PDP is nationally known as a man of immense wealth. ‘’Apart from his being a retired officer of the Department of Customs and Excise not above the rank of Deputy Director, and not known to have been an exceptionally successful businessman, his claims to stupendous wealth and sources are questionable and lack credibility. “During the ‘dollar rain’ at the Port Harcourt Convention of the Party, he outspent all the other aspirants and easily clinched the party’s Presidential ticket. Having emerged without the support of the ‘Governor-General’ of the party, who had earlier produced the party’s National Chairman and ordered the party to hold its convention in Port Harcourt, Alhaji Atiku is now on ‘his own’ in bankrolling his campaign. “The Nigerian Electorate has a better alternative- to stick to the clean, honest and transparent leadership of Muhammadu Buhari, who has done so much to ensure better future for them after the 16 years misrule of the PDP." The party's spokesman, Kola Ologbondiyan, said Nigerians had resolved to vote out the APC in 2019, adding that the ruling party was becoming jittery by the day over its fear of defeat at the polls. He said: “APC is jittery but what is even their business about the state of our finances. 2019 is not about who has more money but about the need to rescue Nigeria. “Having seen through their lies, Nigerians have resolved to vote out the incompetent and clueless Buhari. They can say whatever they like but our advice to them is that they should start packing their bags because their time is up.